The National Center for Earth and Space Science Education and the Smithsonian National Air and Space Museum invite Smithsonian staff and their families, and attendees of the July 2-3 Student Spaceflight Experiments Program Conference at the Museum, to a very special Family Science Night. It is an opportunity for parents and students to learn together, and is suitable for 4th grade and up. The evening will be a celebration of what we know about Earth’s place in the cosmos – and that we can even know it. Attendees are invited to come early and walk through the just updated Voyage Scale Model Solar System on the National Mall. In advance of the Family Science Night, the exhibition’s porcelain enamel panels were replaced with updated high resolution color imagery, and new captivating text describing the worlds of the Solar System. For more information, read this page. To sign up your party, go to the “How to Attend” section at the bottom of this page. Guests enter the Museum in the Milestones of Flight gallery where some of the most remarkable flying machines ever constructed are on display, including: the Spirit of St. Louis, the Bell X-1, an X-15, the early rockets of Robert Goddard, Friendship 7 (John Glenn’s Mercury capsule), and the Apollo 11 Command Module. In addition, the entire east side first floor of the Museum will be open, including, the Space Race, Moving Beyond Earth, Explore the Universe, and Looking at Earth galleries. Guests will also have access to the interactive gallery How Things Fly. When we venture beyond our home and explore a greater landscape—whether it’s the town beyond our house, or a planet beyond the Earth—we gain a deeper sense of our own existence. It’s a fundamental principle of exploration. To truly know and appreciate our home, we must leave it. So to truly know and appreciate a place called Earth, we must venture beyond it, and recognize the breadth and majesty of a greater universe. From another vantage point—we are integrally connected to the universe, and it to us—so to know the universe is to know ourselves. And while we may seem small in its shadow, beauty has nothing to do with size—for the universe is revealed with something the size of the human mind. You’re invited to the story of our existence—a race of explorers, 6 billion tiny souls strong. It is a story that ignites wonder about the universe, and a sense of pride in our ability to reveal its nature through both human imagination and ingenuity. It is a story that humbles us, and brings a sense of humility to our lives. It is a voyage that will forever change your perspective of home. The mysterious Red Planet, Mars, has inspired countless science fiction dreams and nightmares. Now, for the first time, experience the reality of the Mars surface as seen through the eyes of two intrepid, death-defying explorers – Spirit and Opportunity, the Mars Rovers – in the spectacular new giant screen adventure Roving Mars, exclusively in IMAX® Theatres. The phenomenal size and clarity of the IMAX® screen draws the viewer into a spectacular landscape that is at once awe-inspiring and amazing. And the suspenseful drama of the Rovers’ dogged quest over the rugged terrain may even answer that persistently haunting question – Is there life on Mars. FAQ 1 – WHAT IS THE FAMILY SCIENCE NIGHT PROGRAM? The Family Science Night program takes place at one of the most visited museums on the planet. Millions of visitors a year come to the Smithsonian National Air and Space Museum to see the machines that gave life to human dreams of flight in air and space. A school field trip designed for family learning, Family Science Night is held after hours during the academic year so that hundreds of students, parents, and teachers from Washington, DC, metro area schools may have the museum to themselves. Attendees explore galleries, experience the universe through IMAX® films, and hear a presentation by a dynamic space scientist. The presentation is the program’s centerpiece, providing a very personal view of exploration on the frontier and the spellbinding, wondrously human stories behind the machines that changed the world. The program fosters wonderful opportunities for parents and their children to talk about science, our world, and the cosmos—it helps launch family learning. Since its launch in 1993, 154 evenings have been conducted, for a total attendance of 52,700, and engaging 189 schools across 13 school districts. For more information, visit the Family Science Night Program page. Family Science Night is a program of the National Center for Earth and Space Science Education and the Smithsonian National Air and Space Museum. The program is made possible by a grant from the District of Columbia Space Grant Consortium, and a contract from the Carnegie Institution of Washington in support of NASA’s MESSENGER spacecraft mission to the planet Mercury. FAQ 2 – WHAT IS THE VOYAGE SCALE MODEL SOLAR SYSTEM? Voyage was designed for replication and permanent installation in communities worldwide, and is now in Houston, Corpus Christi, and Kansas City. The Voyage National Program is overseen by the National Center for Earth and Space Science Education, and the Voyage International Program is overseen by the Center’s international arm, the Arthur C. Clarke Institute for Space Education. FAQ 3 – WHAT IS THE STUDENT SPACEFLIGHT EXPERIMENTS PROGRAM? The special Family Science Night on July 2 is being held in conjunction with the Student Spaceflight Experiments Program (SSEP) National Conference at the Smithsonian National Air and Space Museum on July 2-3. In attendance are delegations from participating communities across the nation, comprised of student researchers, teachers, administrators and parents. Student research teams – grades 5-14 – will present to their peers on microgravity experiments designed by them, and flown to the International Space Station. Conference attendees are being invited to the July 2 Family Science Night. SSEP is about immersing and engaging students and their teachers in every facet of real science—on the high frontier—so that students are given the chance to be scientists—and experience science firsthand. More broadly, SSEP is about a commitment to student ownership in exploration, to science as journey, and to the joys of learning. See oral presentations from last year’s conference. Read about the experiments selected for flight. Explore the 2013 SSEP National Conference page. SSEP was created as a model U.S. national Science, Technology, Engineering, and Mathematics (STEM) education initiative that gives typically 300+ students across a community the ability to design and propose real microgravity experiments to fly in low Earth orbit, first aboard the final flights of the Space Shuttle, and then on the International Space Station (ISS)–America’s newest National Laboratory. The program was launched in June 2010 by the National Center for Earth and Space Science Education (NCESSE) in strategic partnership with NanoRacks, LLC. The Smithsonian National Air and Space Museum is a national partner on SSEP. Since program inception in June 2010, there have been six SSEP flight opportunities—SSEP on STS-134 and STS-135, which were the final flights of Space Shuttles Endeavour and Atlantis; and SSEP Missions 1 through 4 to ISS. To date, 60 communities have participated in the program, with over 100,000 grade K-14 students across 540 schools given the opportunity to participate in their community-wide experience. A total of 21,600 grade 5-14 students were fully immersed in microgravity experiment design and proposal writing, and 5,091 experiment proposals were submitted by student teams. The program is designed to inspire and engage America’s next generation of scientists and engineers, and it is accomplished by providing each participating community their own very real Space Program. Visit the Student Spaceflight Experiments Program website. 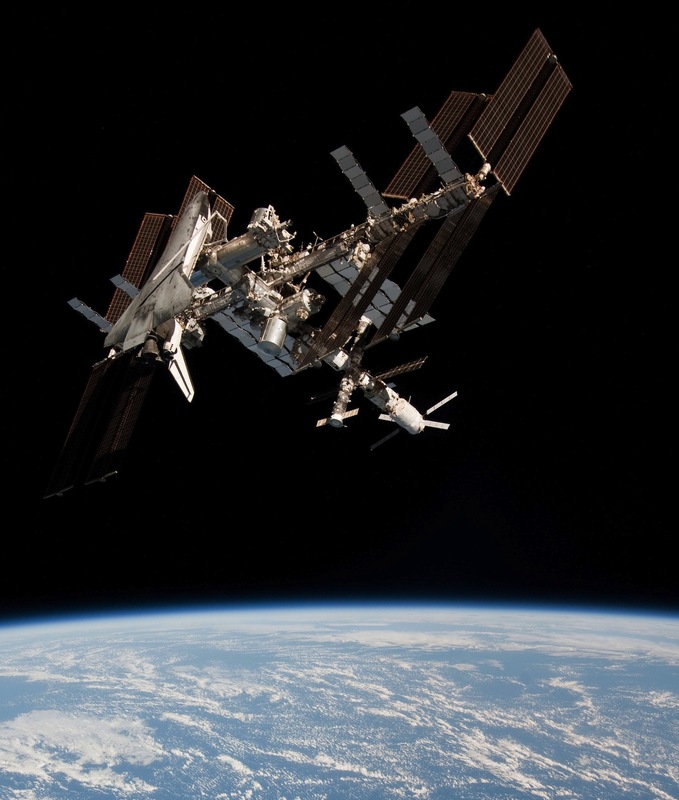 SSEP is enabled through NanoRacks LLC, working with NASA under a Space Act Agreement as part of the utilization of the International Space Station as a National Laboratory. You can sign up your party for the July 2 event below. The worst thing that can happen is that we fill the seats, we have a hundred more folks that want to attend but are denied access, and 100 seats go unused due to attrition.